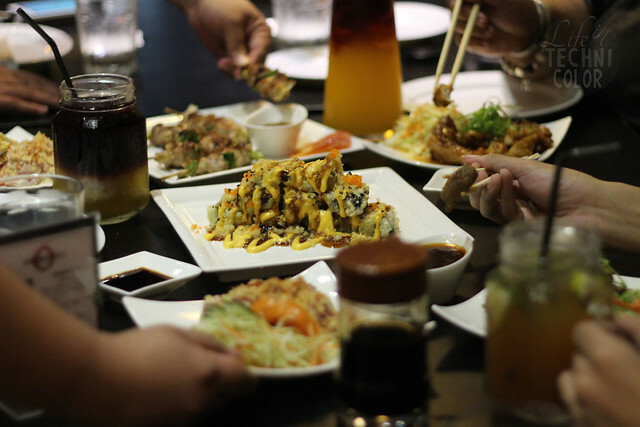 After trying out the burgers at The Great American Burger Joint in Pasig, we headed over to Nommu in Metrowalk to try their Japanese offerings. 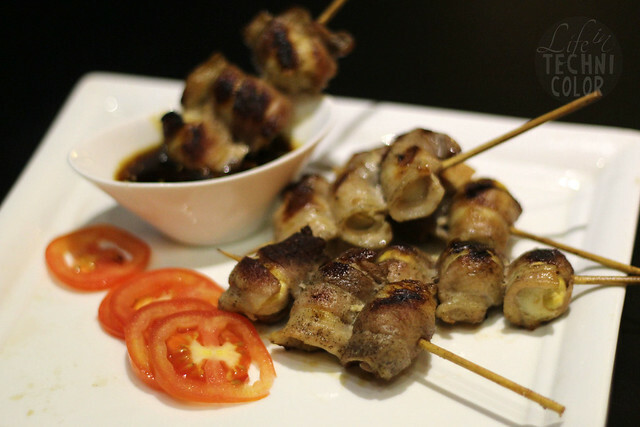 Nommu is a restobar that serves Japanese fusion cuisine. 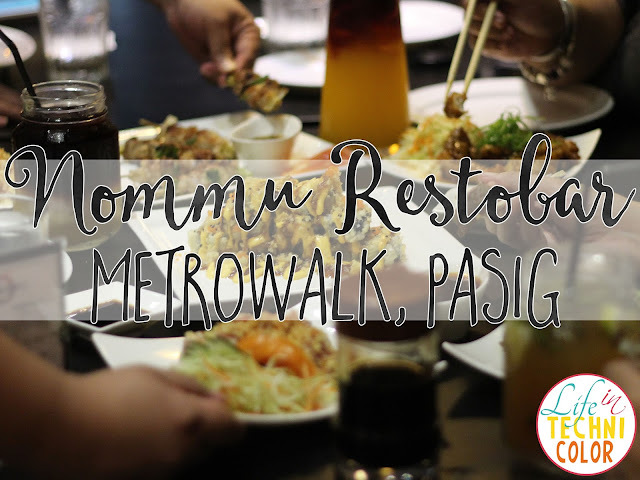 They also have a branch in Tomas Morato, but it wasn't until my visit with The Food Crawlers that I finally got a taste of what they have to offer. 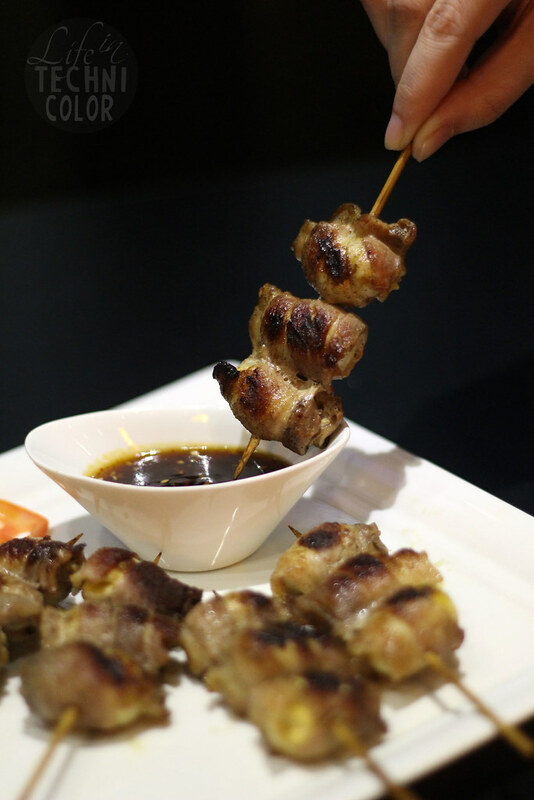 That evening, we met up with owner Natasha Reyes who had us try some of their bestsellers. I COULD NOT GET ENOUGH OF THIS. 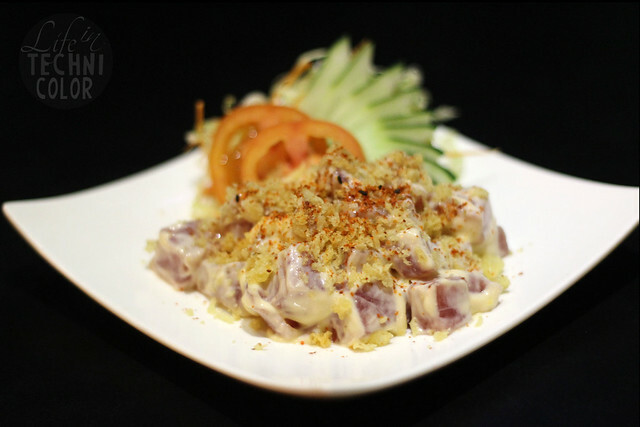 It's no ordinary sashimi since the tuna is mixed with tempura flakes and Japanese mayo, which reminded me of my other favorite - Teriyaki Boy's Tempura Tuna Tartare. 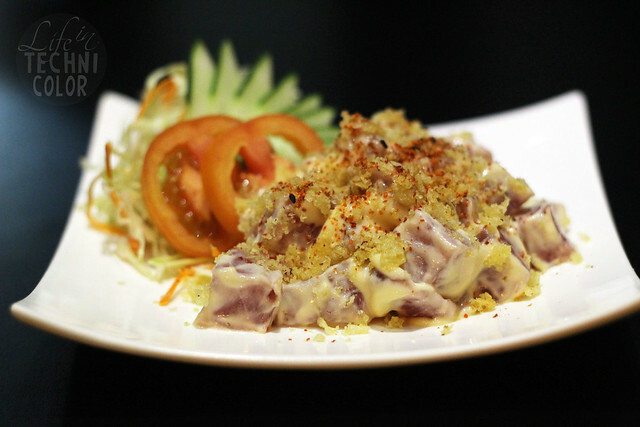 It could have used more tempura flakes in my opinion, but I love the generous servings of tuna in this one. What's in it: salmon, ebiko, teriyaki sauce, cheese. It's definitely my kind of maki. 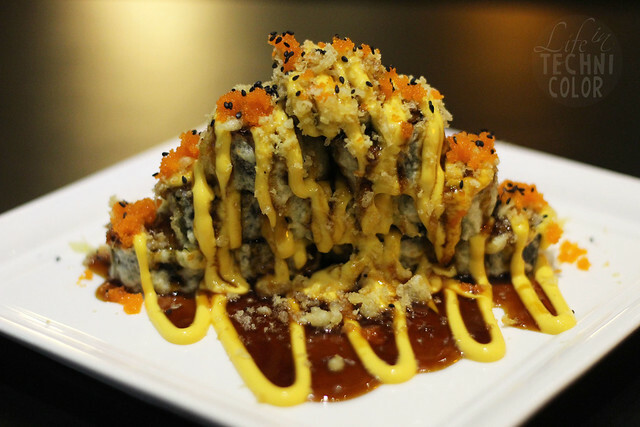 As much as I love the regular california maki, I couldn't say no to this one because of all the CHEESE! Some people might consider this to be too saucy, but that's exactly what I like about it. This is one of the dishes I'm definitely coming back for at Nommu. 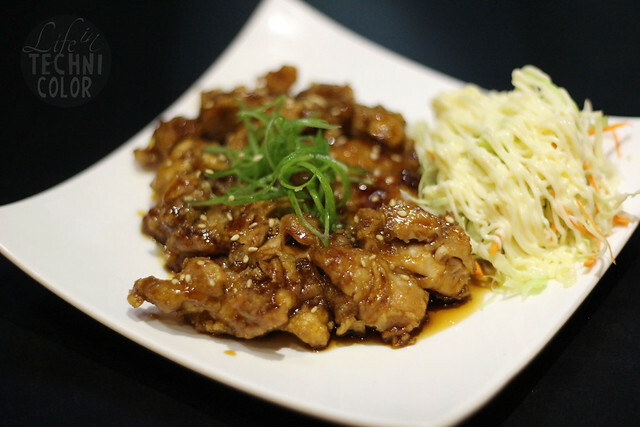 Another dish that's good to share is the Garlic Saikoro Steak. 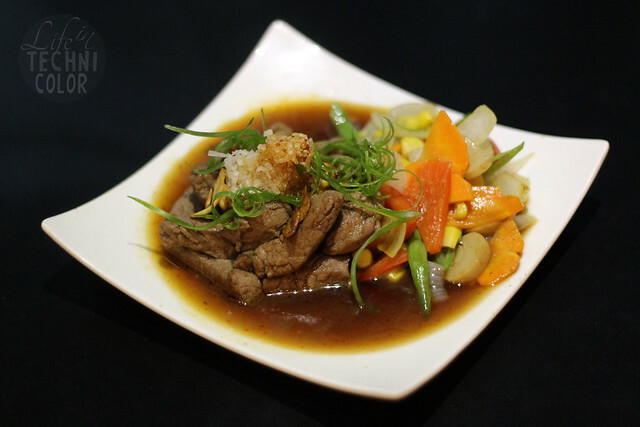 It's 150 grams of U.S. beef cooked in sake topped with radish and ponzu sauce. Even though it was already cold when I tried it (I took too long taking photos as usual), the beef was still tender, and best of all, flavorful! Aside from the food, we also got to try a couple of their cocktails, namely the Lychee Blossom Sangria and Sensei's Passionate Life Mojito. 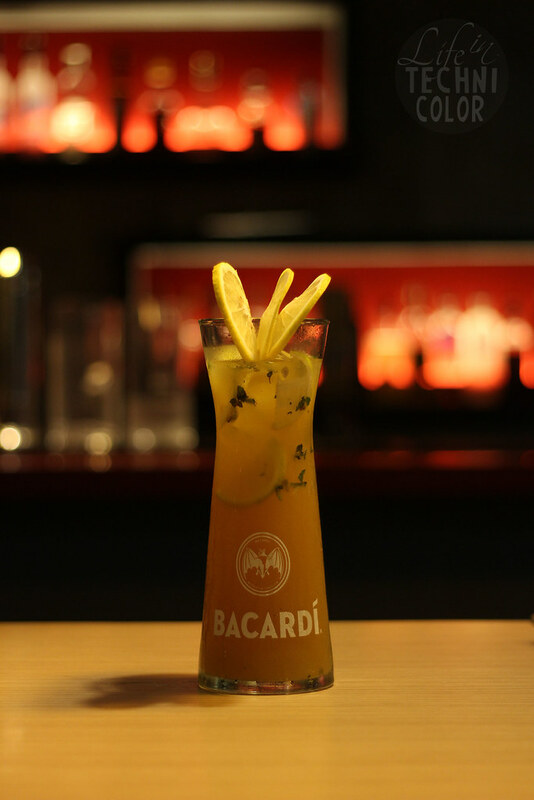 They're both available in single orders or carafe so everyone's guaranteed to have a fantastic time! 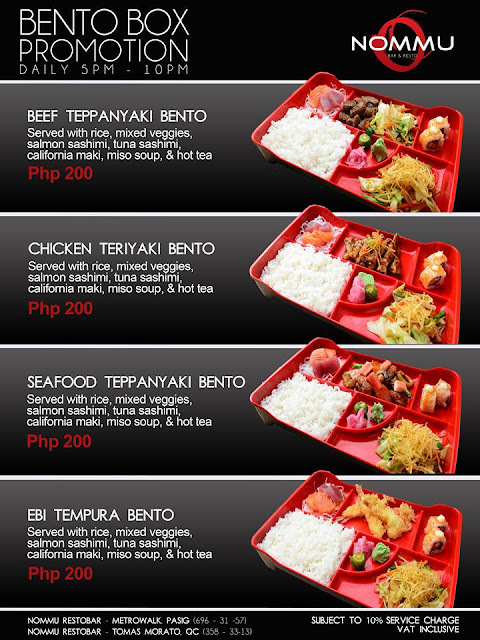 Nommu is located at G/F Metrowalk Commercial Complex, Meralco Avenue, Ugong, Pasig City.